Smith Taxis is an experienced Airport Taxis Company offering excellent, reliable and punctual services. We endeavour to keep our prices competitive with added complementary services to keep our customers absolutely satisfied. Your satisfaction matters to us and from the moment you contact us, we will do our utmost to ensure that your booking and transfer go as smoothly as possible. We will provide you with an air conditioned vehicle tailored to your needs, the number of passengers and the luggage requirements specified by you. All our drivers are experienced, CRB checked with proven customer service skills and have extensive knowledge of the local area. Your chauffeur will drive you to the appropriate terminal and then collect you (if arranged) on your return day after having checked your arrival time. When arriving at the airport, your chauffeur will meet you inside the terminal with a name board (unless otherwise arranged) take your luggage and usher you to your car. You do not have to worry should your flight arrive earlier or is subject to delays as we will track your flight's progress and send your driver at the new expected time of arrival. SAS also welcomes corporate account customers and, subject to credit references, we will happily provide you with a monthly invoicing facility or direct debit on our airport taxi services. We accept most major credit cards and debit cards (through PayPal) and all invoices and receipts will be emailed to you. We accept cash and all other major credit/debit cards. Chip and Pin payment on board is available on request. 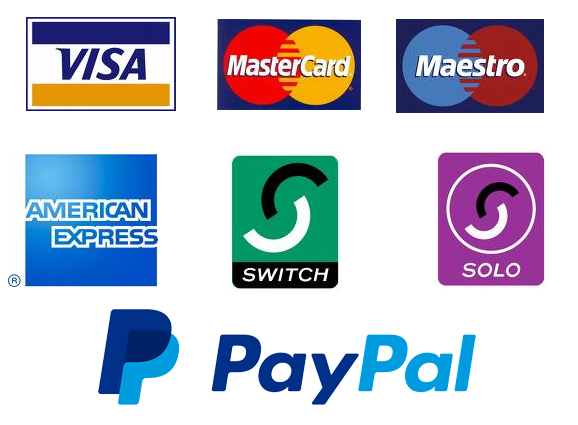 We also offer a fully secure online payment service, through PayPal; accepting all major cards for a hassle-free transaction. A 6 percent fee will apply for using this service. Account Customers are welcome; Please call us or email us for an Account Application form. If you need any help with any of the payment services we provide, please do give us a call and we will talk you through the process. We are one of the very few transportation companies offering a free complementary WiFi on-board for internet users and business customers whilst on your journey to the airport. You no longer have to worry about not being able to find an internet connection before flying. If you happen to run out of battery charge on your mobile, I pad or tablet, we will provide you with a complementary 10 to 15 minute charge from the chauffeur’s universal car charger free of charge. Please note that chauffeurs will not be held responsible for bad network connection to WiFi or damage that may occur to device's using the driver's universal car charger. Chauffeurs may allow customers to use the charger for longer than 10-15 at their own discretion. All our drivers are CRB-checked (Criminal Record Bureau). Child seats and booster seats available on request. Wi-Fi is available for devices to keep your child occupied on the journey. Upon confirmation of your booking, you will be sent the driver’s details should you need to get in touch for any particular reason. One of our drivers will pick your child/children up from the booking place making himself known to the parents or to Guardian. Once your child/children has been picked up, the parents or a person of your choice will be sent a text message informing them that that their child/children has been picked up and is on his way to the booked destination. By using PayPal , your child does to carry or handle money. Once your child has arrived to the destination, the driver ensures an adult at the destination address signs a sheet confirming the child's safe arrival and a text message will be sent to the parent or a person of your choice to inform them of their child's arrival.